At the beginning of May I’ve been in Madrid for 5 days. It was our short stop between Mexico and Poland. As we never have been in Madrid, we’ve done lots of sightseeing with my wife, but as you can probably imagine my thoughts were concentrated on something completely different. 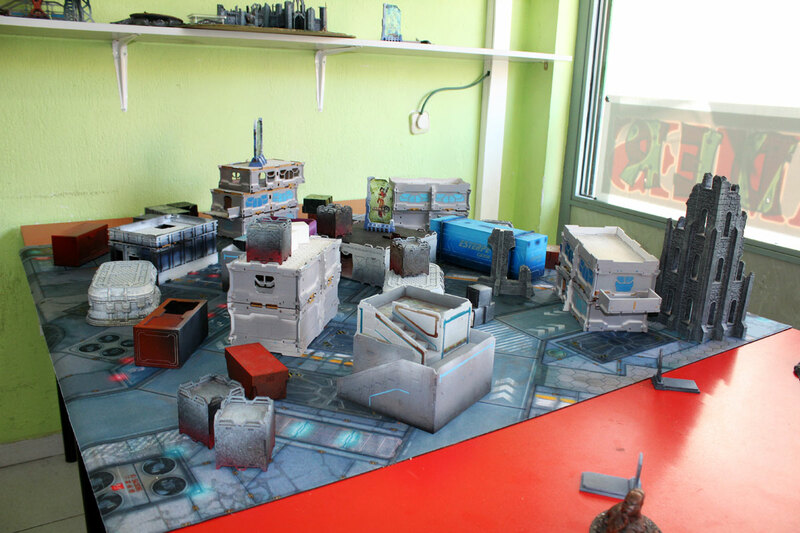 For the first time since October 2014 I was in the city with so many shops, clubs and generally wargaming communities scattered around. 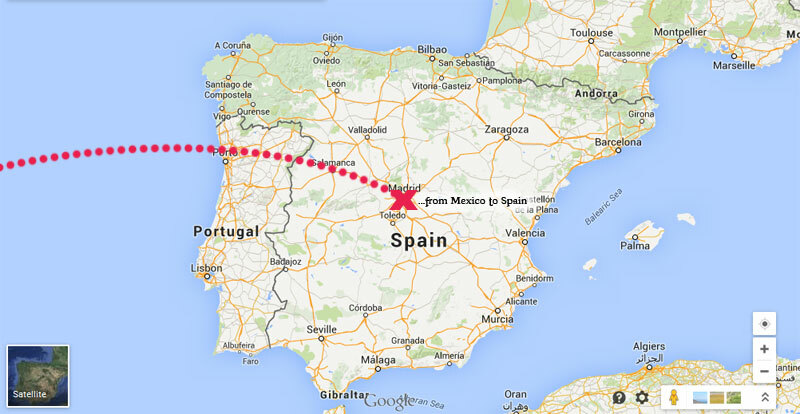 After long stay in Central America and Mexico, Madrid seemed to me like a promised land. The best what I could get during that tine were few gaming shops in Mexico City, but comparing to European shops, their offer is limited. 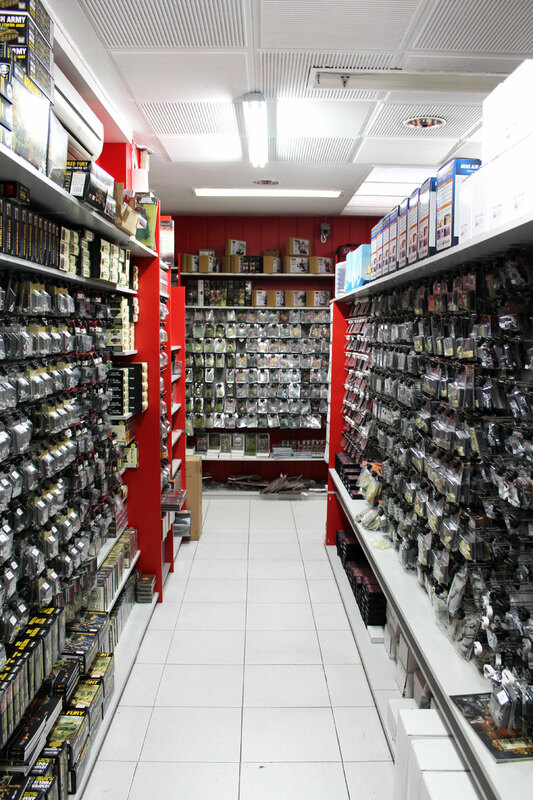 So, I was really anticipating the visit in a hobby store in Madrid, especially few of my paints were out, and also I was crying in despair for new brushes. I knew I don’t have too much time (I would be happy to visit all of places on wargaming map of Madrid:) and I need to choose at most two. 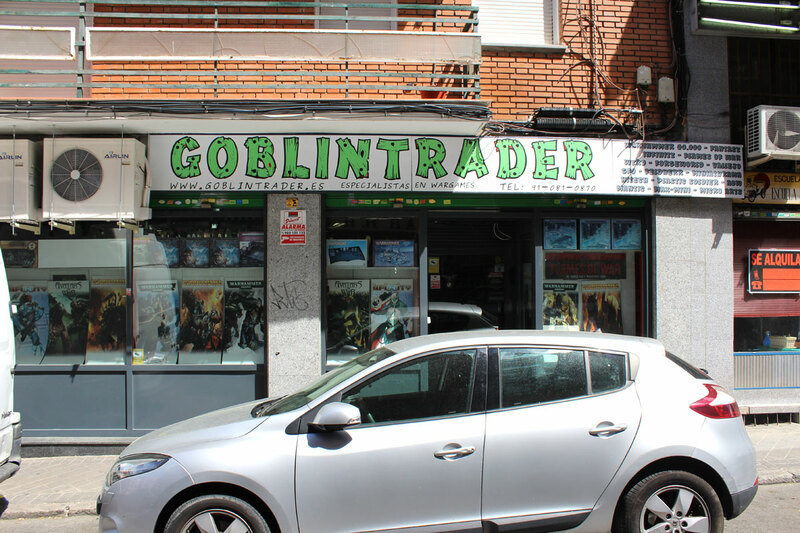 My first choice was Goblin Trader, the shop which during my short internet investigation seemed to had very diversified offer (lots of miniatures from large number of games). The only problem was – Goblin Trader is a little bit aside of centre of the city and my hotel was in other district, so it was about 40 minutes ride by metro from my place. So, one of my first thoughts was – it’s little bit too far, there are plenty of other shops and they are located downtown – maybe I should gave up on Goblin Trader and go to other shop, closer to my hotel? The offer of GT was tempting through, I really wanted to become convinced if they have all what they tell online. Oh, how glad I am right now, I’ve decided to spent those 40 minutes in underground to get to Goblin Trader. It turned out that the store is definitely a place to be for me! The Land of plenty! Literally. They have everything. From the moment I entered the shop – I knew I see something impressive. 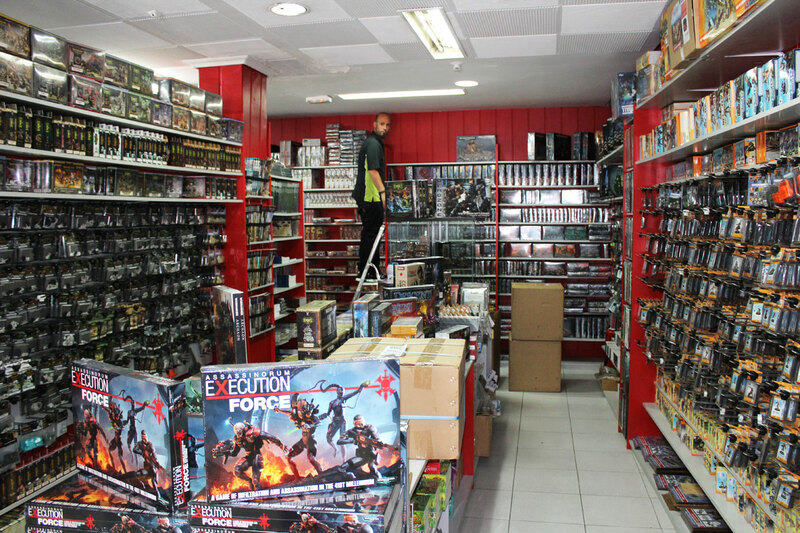 Not even taking the closer look at the shelves – I could notice the number of games and miniatures is around… countless. First impression after entering Goblin Trader was… WOW! 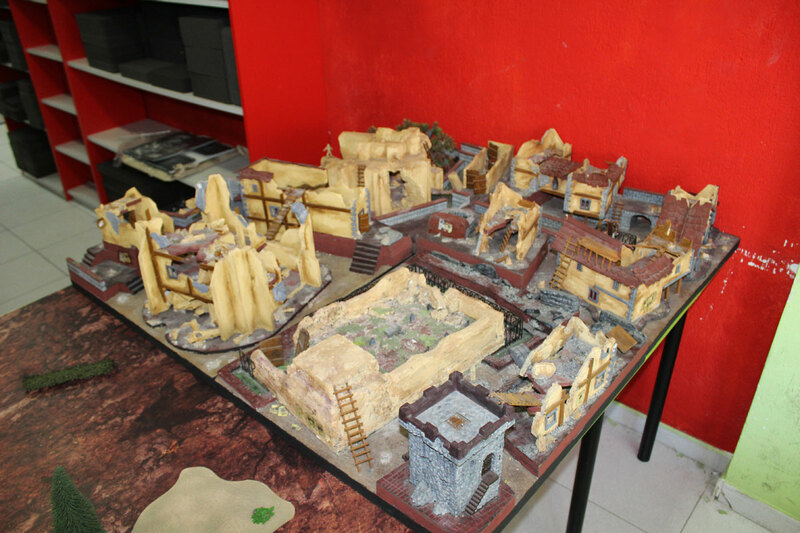 gaming area with tables and terrains prepared for play. Small showcase with painted miniatures. 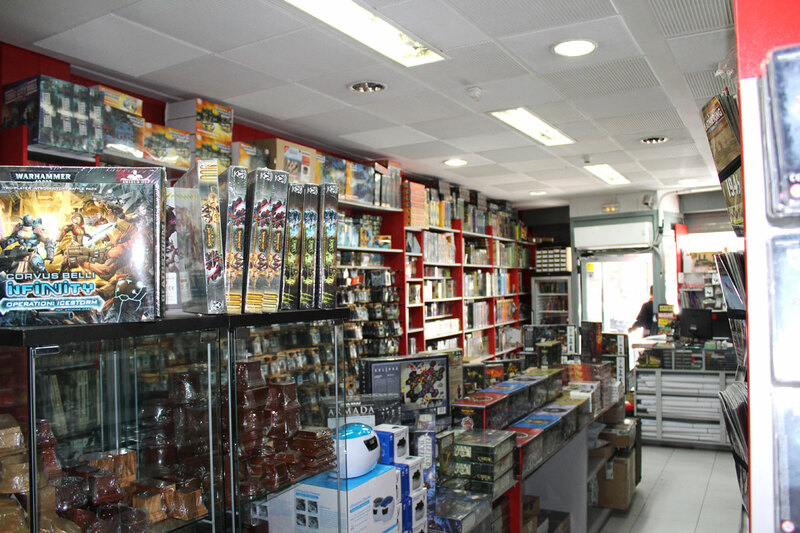 There were: Games Workshop stuff (obviously:), lots of Infinity (another obvious fact – as Infinity is developed in Spain), Warmachine/Hordes, Malifaux, Kings of War, Avatars of War, Darklands, and many, many more miniatures I don’t even remember and know. Fantasy, SF and historical. 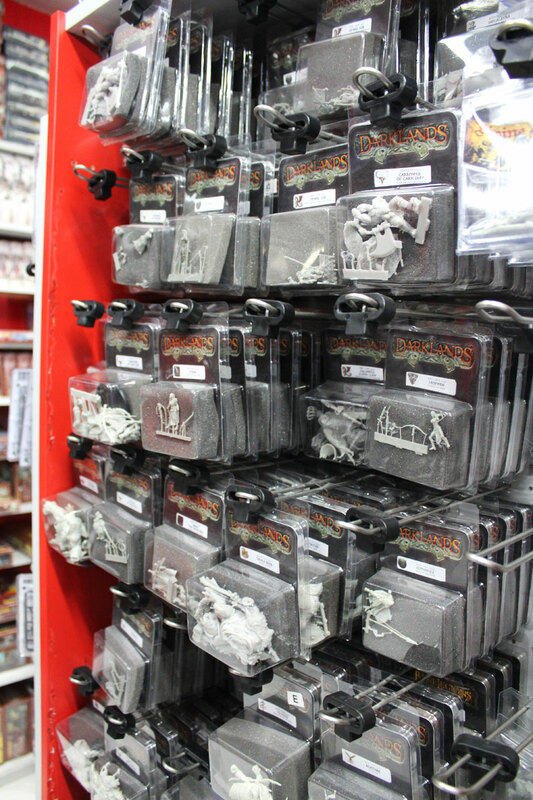 Lots of accessories, scenery, rules, board games – I tell you – everything:) From the miniatures that interested me the most – I spotted Raging Heroes range, Kromlech, Scibor, Marvel Knights (beside GW, Infinity, Malifaux and Darklands). Infinity is obviously very popular in Spain. 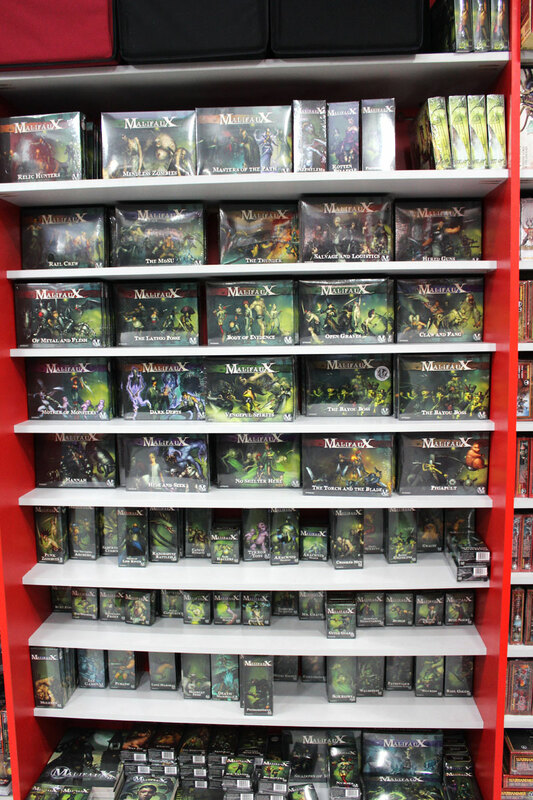 Malifaux is another popular game here. Darklands from Mierce Miniatures. 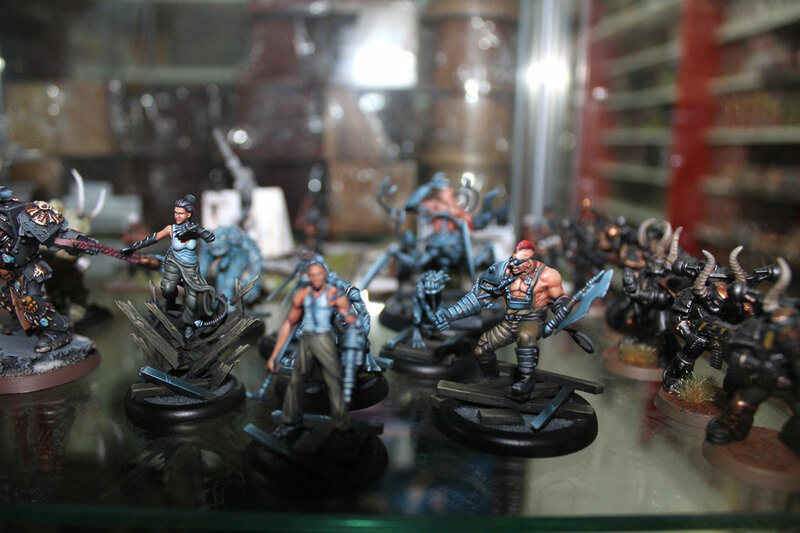 Super awesome minis – I need to get few of their models finally! 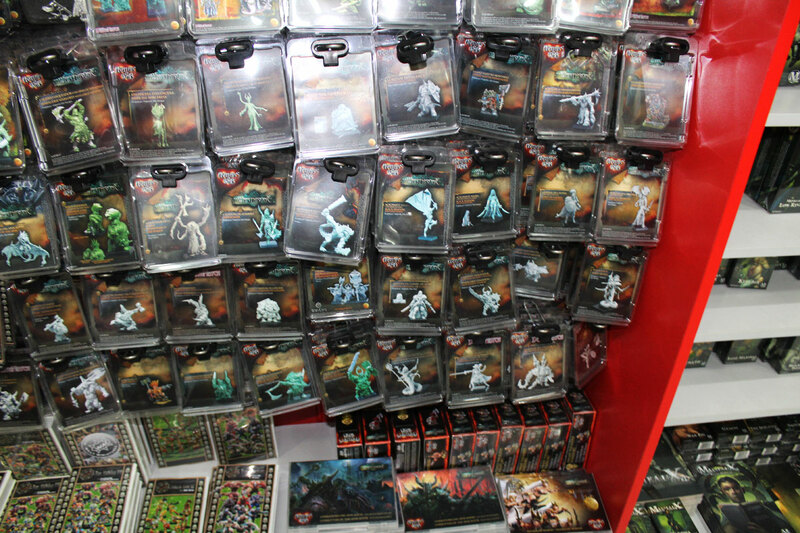 Avatars of War – another local game (from Barcelona). …and some scenery, like this terrains from 4 Ground. 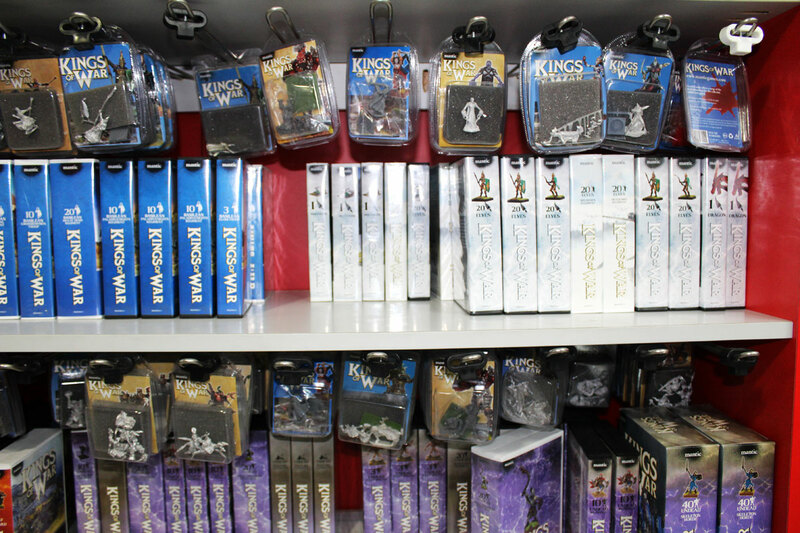 I was particularly happy, that I saw stuff from Polish manufactures – Kromlech, Maxmini, Microart Studio, Scibor and Spellcrow. I was very glad to hear that this stuff is very popular here in Spain. Kromlech! 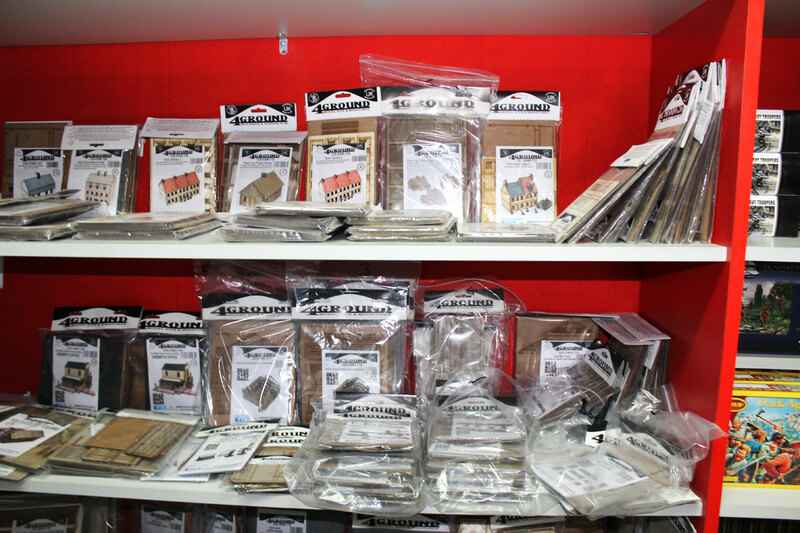 Polish company, famous of their resin bits and wicked orks miniatures. I was touring around the shop around one hour, trying to resist the urge of buying half of the inventory. Eventually I bought only two miniatures – Reverend Custodier from Infinity and Doppleganger from Malifaux, few brushes and paints. Believe me, it was hard – not to buy more. Temptation was strong:). In this place I’d like to thank Jesús, manager of the store, for allowing me wander around with camera, and being patient enough answering all my annoying questions. Big UP! 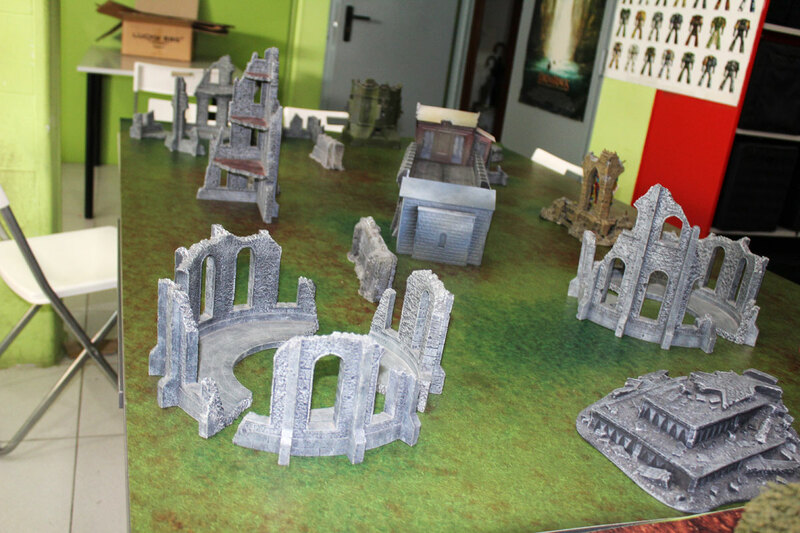 First I thought it’s only one room with 3 tables and handful of scenery, but… it turned out there is the basement where are 22 gaming tables with lots of terrains for Fantasy, SF, historical for whatever game you want to play. 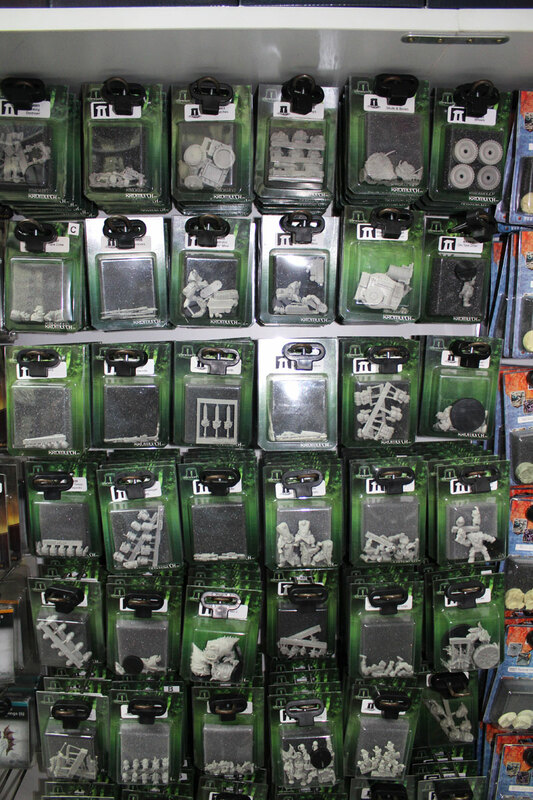 There are regular meetings in the shop for all major systems – the most popular (beside Warhammer Fantasy Battle and 40k) are: Infinity, Warmachines/Hordes and Malifaux. 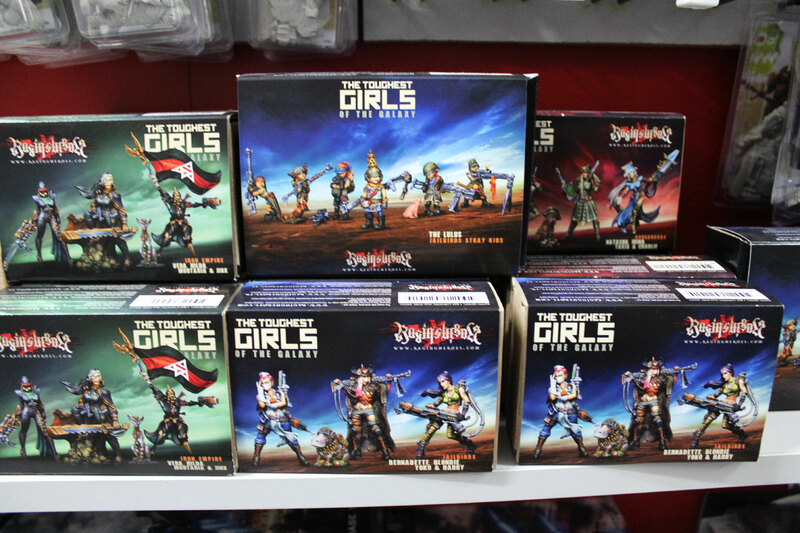 Plenty of tournaments are organized, and miniatures painting workshops. For all the news, check Goblin Trader Facebook page. Three of gaming tables. Downstairs, in the basement there are 22 more! Goblin Trader is working 3 years already. 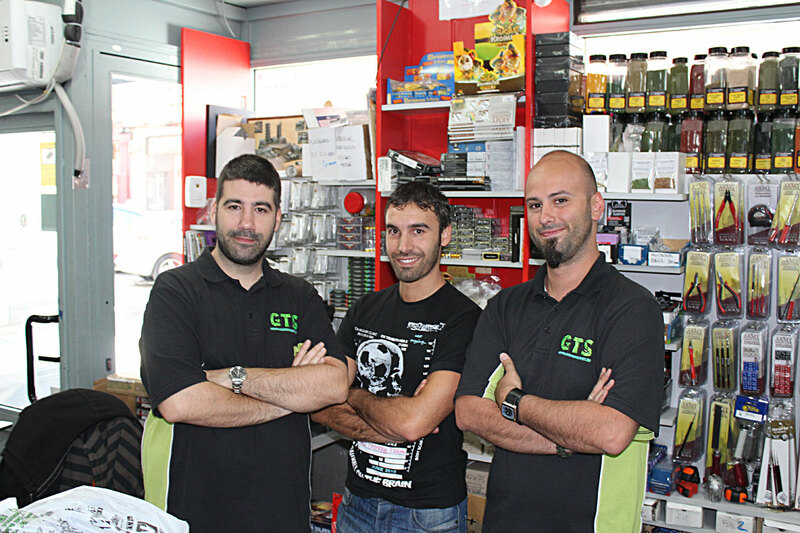 The shop in Madrid is kind of headquarters of chain of stores located in three other places in Spain (Barcelona, Mallorca, Zaragoza). They also have online shop – http://www.goblintrader.es/. From what I saw in Madrid, I wish them all the best and hope they will expand for other cities, and maybe countries too. 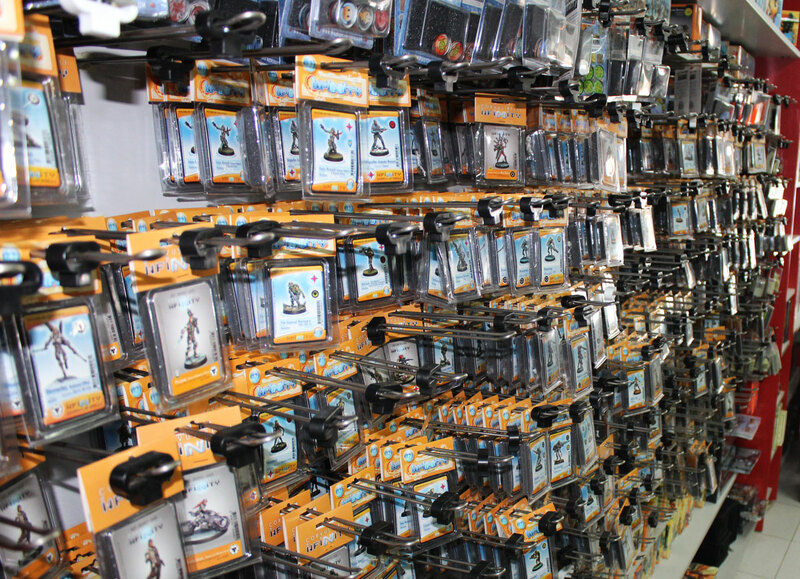 I know there are lots of shops like that in Europe, and for some of you it’s nothing special to see the place where you can buy almost all game systems available on market. For me it’s not usual thing to be in the place like that. And remember, I was for 6 months in Central America, almost cut off from my hobby. 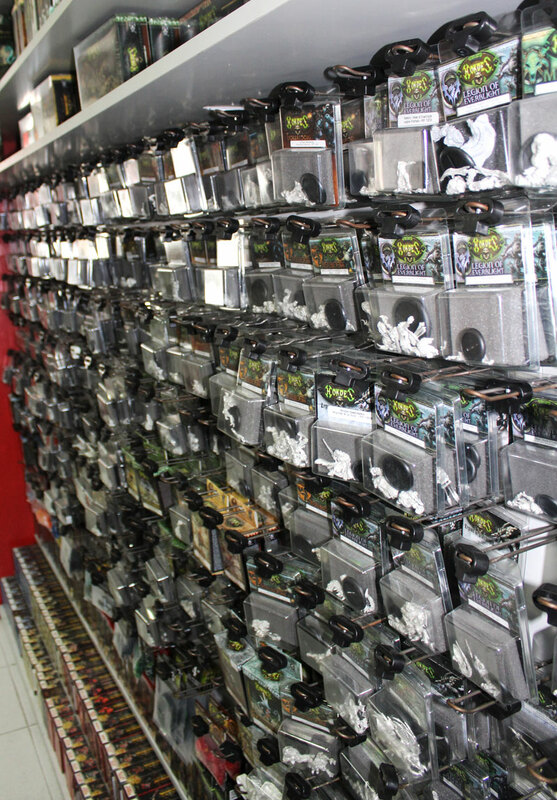 Goblin Trader was a big deal for me, I could stay there whole day and spend all my money on miniatures. It was better for my home budget – I ran away after couple of hours… I will be back though (hopefully) later this year. Maybe I’ll try to appoint some battle for any of games I actually collect or I’m planning to enter in near future (Infinity, Malifaux). Will see. Plans for the future. 6 months in Poland sounds maybe like not a big adventure, and for sure not much travels included, but I will have great time – I neeed to catch up with few old faces I haven’t seen for ages and I’ll have more free time to paint (!!! 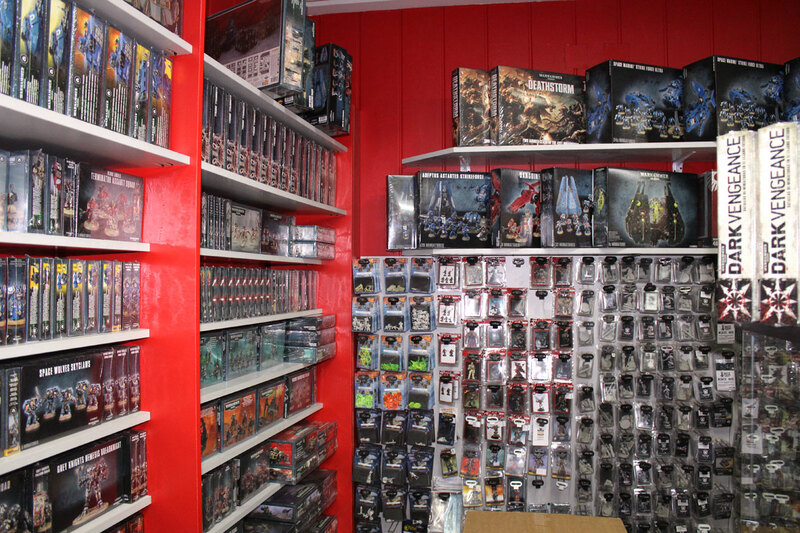 ), I’ll play few games of Warhammer, and maybe few skirmish games too. I also have plans to visit other cities and countries, so expect the reports from Czech Republic, Germany, Netherlands and Belgium. Maybe few other places as well. Time will tell. Previous PostLady Ellendeanne from Wolsung Skrimish Game ready!